Have you ever watched that crazy show, “I didn’t know I was pregnant”? I watched it years ago and wondered how in the world these women didn’t know they were pregnant! I mean come on, not even one tiny symptom?! Well… my first pregnancy is helping me to understand that each and every pregnancy is different and should never be judged! If you didn’t know already… my older sister is going through her first pregnancy right now too! This is super exciting for me cause I thought I would get to watch her closely and then mimic her experiences! She is about 33 weeks along right now and I’m almost 19 weeks. Well just because we are sisters, doesn’t mean we share everything! Come to think of it, I can barely remember an occasion that she freely shared something with me. She always thought I was “copying” her, when the truth was, little sisters just follow in their big sister’s footsteps. Obviously, this is something that doesn’t end after you move out either! My point is, her pregnancy has differed from mine, so far… I’m almost half way through my pregnancy, and my symptoms are so extremely mild, that there are days I’m in denial that my first born is growing inside of me at this very moment! If I was out of touch with my body, I could find several other reasons and excuses for my mild body changes. I’m back up to my pre-pregnancy weight, after loosing about 5 pounds in the first trimester. Technically thats weight gain, even though I’m breaking even. 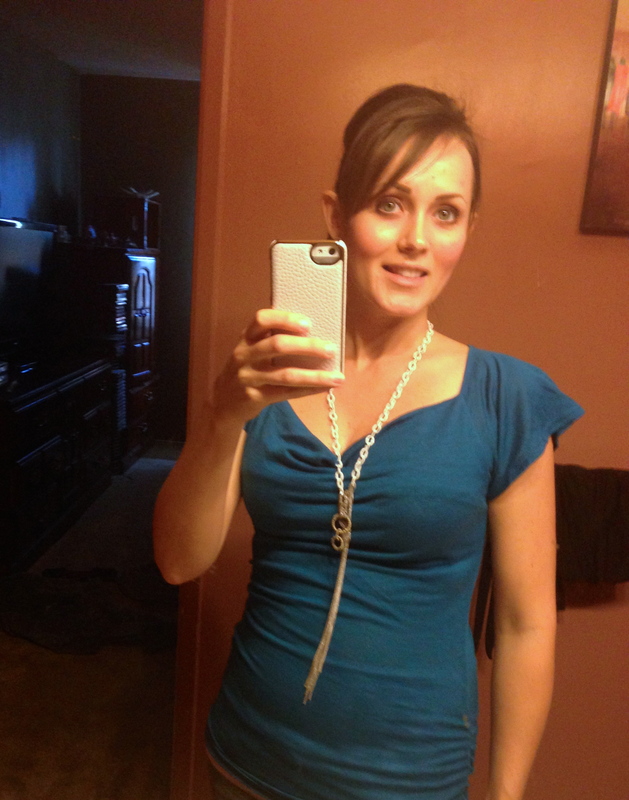 But I’m going to be honest… my diet the past month or so, would reflect a 5 pound weight gain even if I wasn’t pregnant! It’s been a never ending saga of junk food binges! Not because of the entitlement that pregnancy brings to many (Morning Sickness, Cravings and Faking it!) but because of my own desire to see that bump! The unfortunate downside that I’m realizing at this point is, I am pregnant… I will blow up… my time is limited… I should have embraced it. Well, hindsight is always 20/20, huh?! I’m at this stage where I have this amazing disappearing belly bump act I can do! After eating a big meal, or in last night case drinking water, milk, orange juice and anything else in sight, my belly looks and feels like I’m ready to pop! The next morning, it’s faded away! 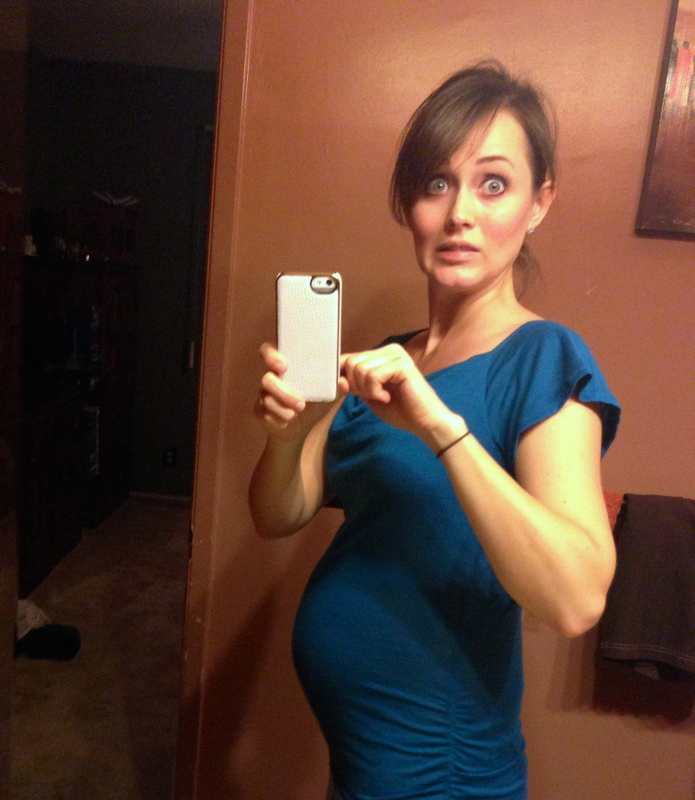 Next Morning Bump… not so impressive, huh?! Other mild symptoms that are easily looked over; heightened sense of smell, peeing ALL THE TIME, and vivid dreams. No sickness, no major cravings, no swollen limbs, none of that icky pregnancy stuff! I just started feeling the baby move within the last week, and that has been the one thing that has confirmed that there is a baby in there! Although sporadic and very subtle, it’s a distinct feeling that differs from those gas bubbles. For me, it’s not the tickling, or “butterflies” that others describe… it’s almost like something just flips or spasms inside me. If I didn’t know it was the baby, and I was out of touch with my body, I would just pass it off as an organ just twitching out for a second or something! We are scheduled for an ultrasound that will determine the baby’s gender at the end of this month. I think at that point, it’s gonna really hit me and hard! I can’t wait to start putting some human characteristics to this little gummy bear! It’s gonna be wild! So sweet !!!! Love you and your approaches to life and all it’s magnificent events… You look beautiful too!!! Can’t wait to learn….. BOY OR GIRL!!!!!! Hope your sister is doing ok….